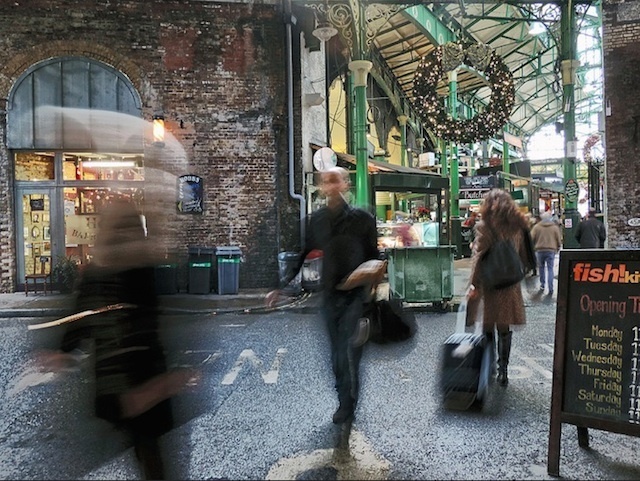 The hustle and bustle of Borough Market at Christmas time, photographed by Duncan Harris. 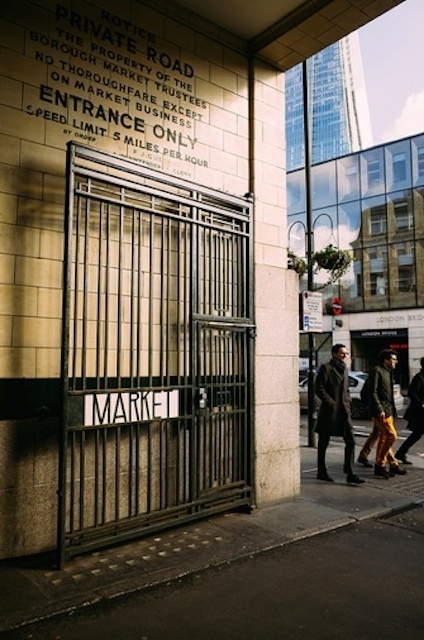 The side gate of the market, with the Shard peeking round the corner. By Laura McGregor. 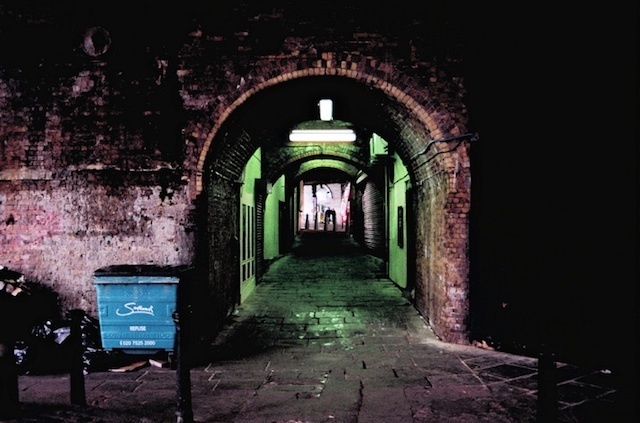 The darker side of Borough Market is revealed by Pete. 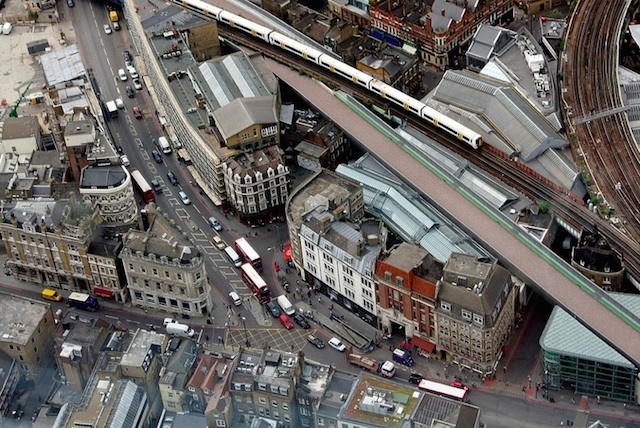 EZTD looks down into Borough Market from a vantage point up the Shard. Looks like Aerosmith have made their mark on the place. Photo: Randall (Randy) Murrow. 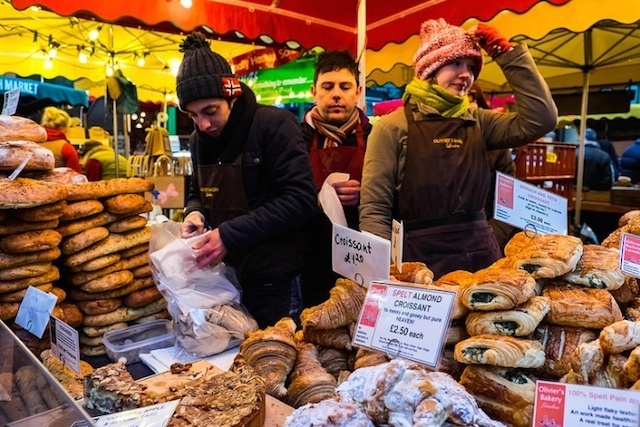 The market's not just for foodies, as Tomasz Kulbowski shows here. 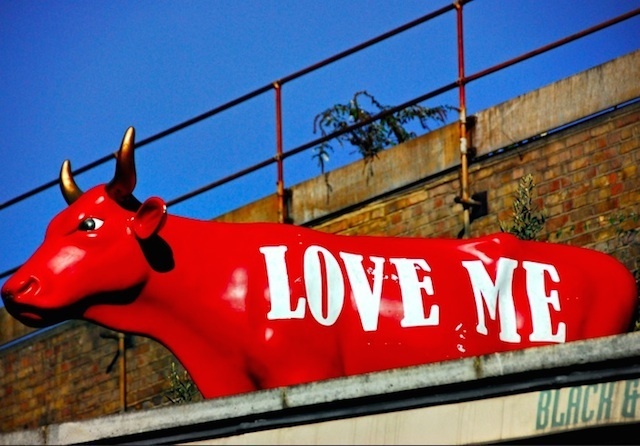 We do, Borough Market, we do. Photo: Richard Watkins LRPS. 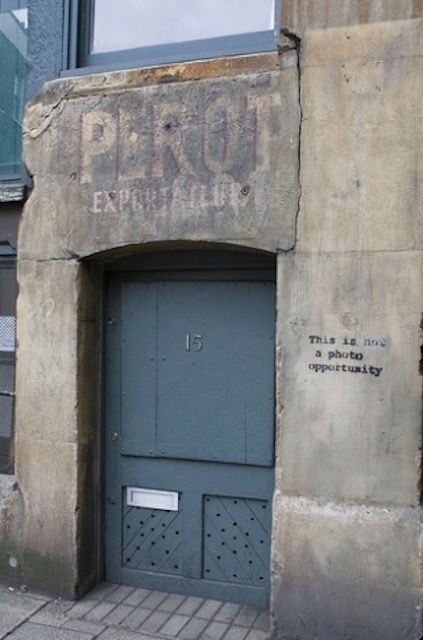 Have you seen this Banksy artwork on a building around the back of the market? Photo: Pete Williams. dalekhelen's sepia tones conjure memories of yesteryear. 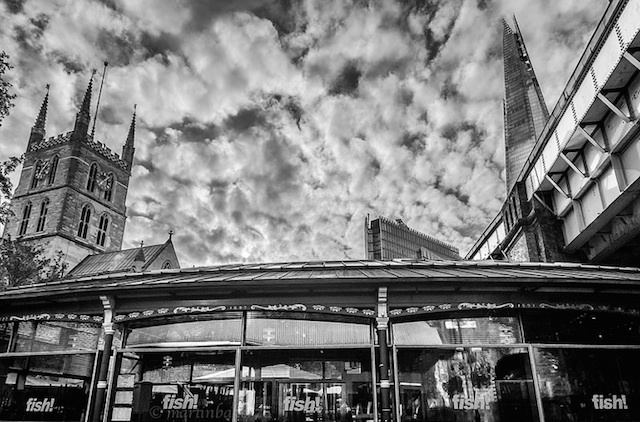 Londonist's own Beth captures the market dwarfed by its relatively new neighbour, the Shard. Of course, the market wouldn't be complete without the resilient traders, working through rain and shine. 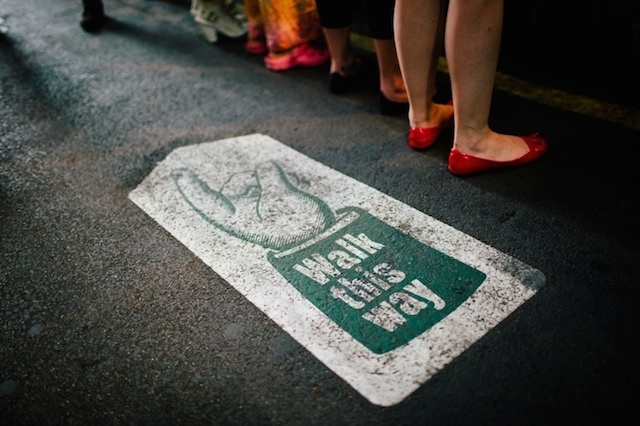 Photo by Stovin. The great grandfather of London's foodie institutions turned 1000 at the weekend. 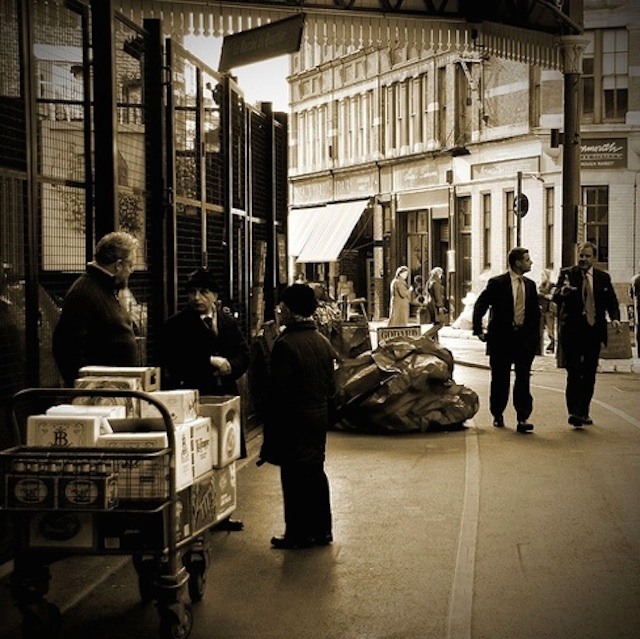 Borough Market might not look its age, but it's got a wealth of history behind it. 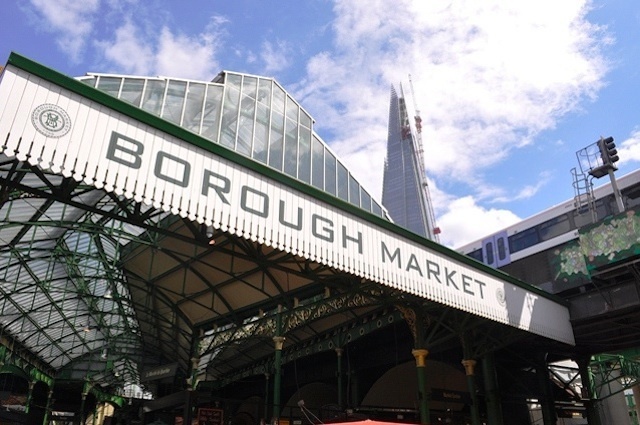 Despite photography being around for a mere shard of Borough Market's delicious history (see what we did there? 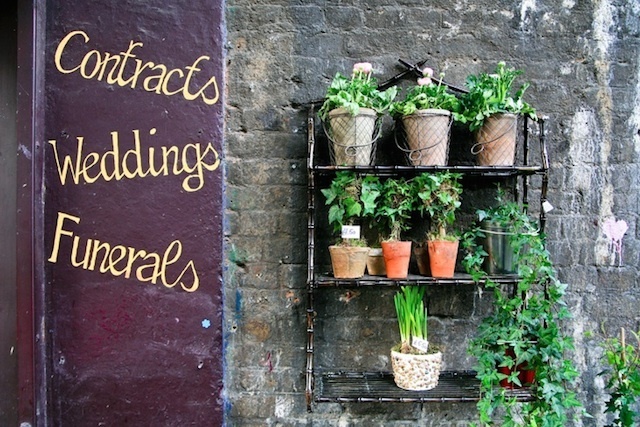 ), the Londonist Flickr pool is full of photos giving a flavour of it throughout the seasons. These are a just a taster of those available.